Funded through public and private sources, the Lackawanna Blind Association is a non-profit organization and offers a wide variety of programs designed to support our visually impaired community members. We rely on the kindness and services of a large team of volunteers as well as the generous donations of individuals, businesses, and foundations. As a United Way Agency, The Lackawanna Blind Association receives a portion of its annual funding from the United Way campaign. However, each year the Lackawanna Blind Association becomes more dependent on alternate funding. Consider giving the Gift of Sight! Your contribution may be made in honor of or in memory of an individual, or as a bequest (distributed through your last will and testament). Your generosity will help fund the numerous beneficial programs offered at the Lackawanna Blind Association. The Light the Way Legacy Society was formed in 2012 as a way to invite our community members to include the Lackawanna Blind Association in their estate planning, and to honor those who notify us that they have done so. Members of the Light the Way Legacy Society can have the special satisfaction of knowing that their life’s efforts will continue to make a difference. Legacy gifts become a permanent part of LBA’s endowment, ensuring that LBA can continue to provide compassionate care for its blind and visually impaired family. Legacy gifts also may be designated for a specific purpose or as a memorial or tribute to loved ones. Did you know you can help us just by shopping online? AmazonSmile.com is a simple way for you to support the Lackawanna Blind Association every time you shop….and at NO EXTRA COST to you! When you shop AmazonSmile, you’ll pay the same price for your purchase, but Amazon will donate a portion of that price to our agency. 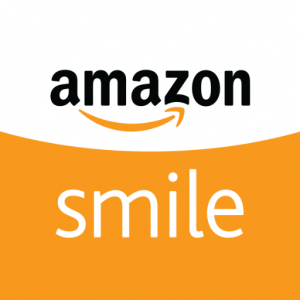 AmazonSmile makes it easy to give! Just click this link: https://smile.amazon.com/ch/24-0795466, log into your Amazon account (or create a new account) and shop as usual! other than publishing a list thanking donors by name only. Donors may also request that their gift remain entirely anonymous. PA Bureau of Charitable Organizations.